Basement renovations are one of the most fun things for our home remodeling contractors to tackle. Here is a chance to let your imagination run wild as you fuse function and pleasure. When we finish out your basement, you can turn it into literally anything you can think of. 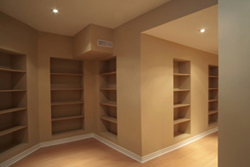 Basement renovation often takes what is wasted space and turns it into something exciting. As home remodeling contractors, we have seen some really fun uses for that space. If you have a walk out or windows, the number of options rises. Some of the more common uses we see during basement renovations include media or exercise rooms. Many clients also like save a portion of the space for storage, which requires less finishing. Let’s sit down together, take a look at your ideas, and see what we can come up with. Many of our home remodeling clients like us to finish the basement walls and flooring for them, and then they come back a little later for the basement renovation. After framing, dry walling and running the electricity, we can help you with designing the next step of your project. The famous “man cave” is always a popular option. We can design the custom bar that you have been dreaming about since college. This also pairs very nicely with the media room concept. Some people even choose to have a sauna put in for them! Basement renovation really is only limited by what you imagine. Call our office today to see what we can get started for you! As a full service home remodeling contractor, you can count us to do your whole basement renovation. No worrying about hiring one guy for the walls, another for the electricity, and another for the floor. We will take you through the entire project from the beginning to end. We have learned a lot over the years. It makes it easier on everyone to have one person to talk to about your entire basement renovation. In our case, you will be talking to our owner. He is an expert at design, doing all of his blueprint drawings in house. Our company prides itself on the integrity of each unique design. We are sure that you have a cool idea for your basement, and we are sure that we can make it happen. Get in touch with us today to get the job done right. 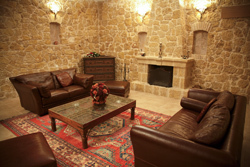 When you feel the time is right for basement renovation, we are the right choice. We are a licensed and insured general contractor, and are ready to work with you right now. We know that this is your project, and are excited to explore your ideas. You have been dreaming about upgrading that basement space into something fun for so long, why wait even a day longer? Turn your basement into the one all the boys have been dreaming about! We do basement renovations in Carmel, Fishers, Noblesville and all surrounding areas.